You miss every opportunity you do not take. Each answer to a question creates new questions. 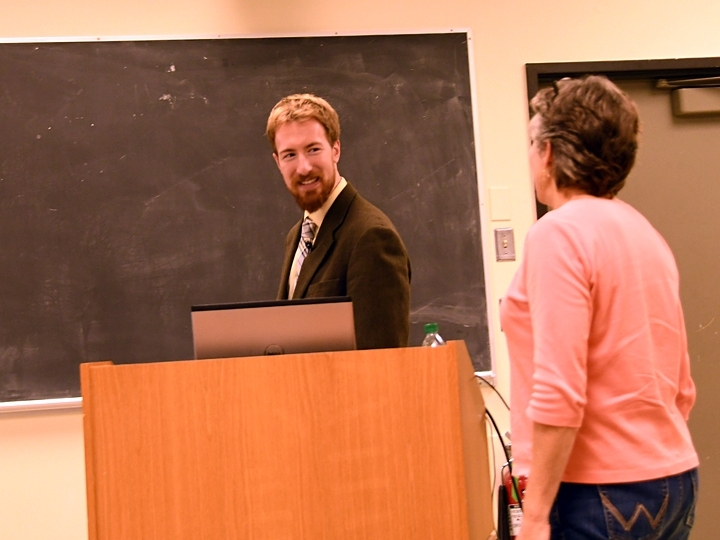 So began UC Davis alumnus Matan Shelomi when he returned to the UC Davis campus Wednesday, Nov. 15 to present a seminar on his stick insect research: "Revelations from Phasmatodea Digestive Track Transcriptomics." 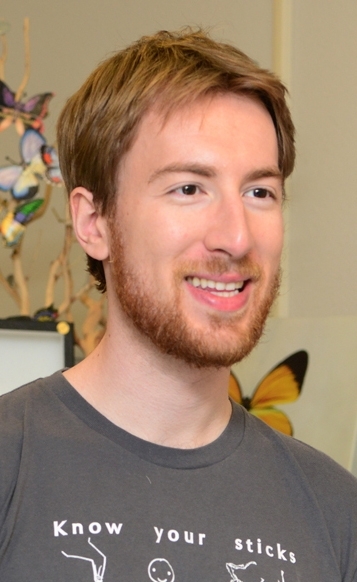 Matan Shelomi, a Harvard graduate from New York City, earned his doctorate in entomology in 2014 from UC Davis, studying with major professor Lynn Kimsey, director of the Bohart Museum of Entomology. He then received a National Science Foundation-funded postdoctoral position at the Max Planck Institute for Chemical Ecology in Jena, Germany. Today he's an assistant professor of entomology in the Department of Entomology at National Taiwan University in Taipei, Taiwan. Shelomi focused his seminar on the digestive physiology of the stick and leaf insects, Phasmatodea, research that has taken him to three continents. Kimsey introduced him as a terrific scientist and writer. Shelomi, with his quick wit and wry sense of humor, captivated his audience immediately. 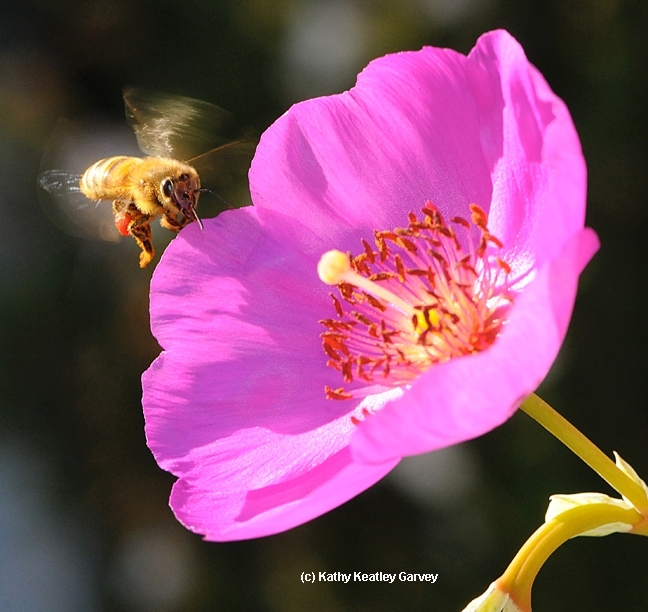 "...there are known knowns; there are things we know we know. We also know there are known unknowns; that is to say we know there are some things we do not know. But there are also unknown unknowns--the ones we don't know we don't know." --Donald Rumsfeld. You may know Matan Shelomi for his informative and entertaining posts on Quora. A top writer at Quora since 2013, he is followed by nearly 4000 subscribers and has answered more than 3000 questions. Or you may know him for his many accomplishments and honors/awards at UC Davis or at the Entomological Society of America meetings. Or his work at the Bohart Museum where he answered scores of questions about insects, greeting scientists, insect enthusiasts, and the general public alike. He was a regular at their regularly scheduled weekend open houses. But back to his seminar: He defined a transcriptome as "sequencing of RNA expressed in given tissue at specific time and condition" and explained "RNA-sequence make cDNA from mRNA sequence." He talked about stick insects producing cellulase and pectinase and about the research he's published, and new research that he hasn't. Yet. It's pending. Each answer to a question led to more questions. "There's still more left to discover." Shelomi said there's still many, many more questions to be answered on stick insects. "I'll leave that to others," he said, adding that he's now turned to studying the microbiome of dengue-vectoring mosquito breeding sites. "That in biology one cannot assume," Shelomi said. "Some things we thought were universal only seemed that way because we hadn't checked for alternatives, and then stopped looking. But biology is not math: there are few if any axioms. Every species is unique, and every rule has an exception. Sometimes the former rules are the exception, like animal cellulases: once thought nonexistant, we now see that they are the ancestral state, and species lacking them are the exception. Organs, proteins, species may have radically different functions from their most similar relative. There is obviously still a place for educated guesses, but until you check you never know for sure... and the search may reveal things you never even thought to look for." The applause that followed his talk was loud and long. Ever ask someone where they live and they respond "I live in the sticks"? They're referring to a rural area, usually forested or farmed. Next week UC Davis alumnus Matan Shelomi will introduce you to his "sticks": the stick and leaf insects from the order Phasmatodea that he studies. He'll present a seminar from 4:10 to 5 p.m., on Wednesday, Nov. 15 in 122 Briggs Hall, University of California, Davis, on "Revelations from Phasmatodea Digestive Track Transcriptomics." 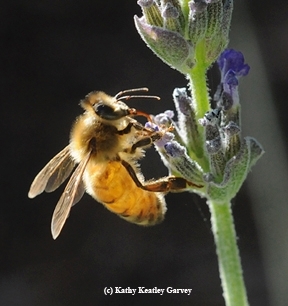 Hosted by the UC Davis Department of Entomology and Nematology, the seminar is open to all interested persons. Shelomi, who holds a doctorate in entomology from UC Davis (Lynn Kimsey, director of the Bohart Museum of Entomology and professor of entomology at UC Davis served as his major professor) recently accepted a position as assistant professor of entomology in the Department of Entomology at National Taiwan University in Taipei, Taiwan. Originally from New York City, the Harvard graduate (bachelor's degree in organismic and evolutionary biology) obtained his doctorate in entomology in 2014. 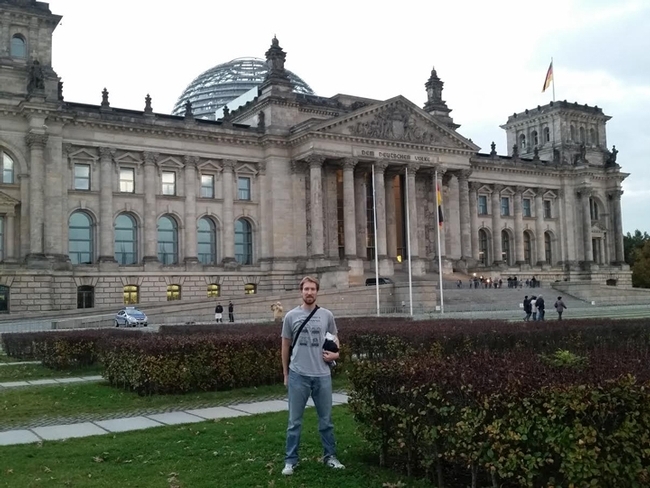 He then received a National Science Foundation-funded postdoctoral position at the Max Planck Institute for Chemical Ecology in Jena, Germany. 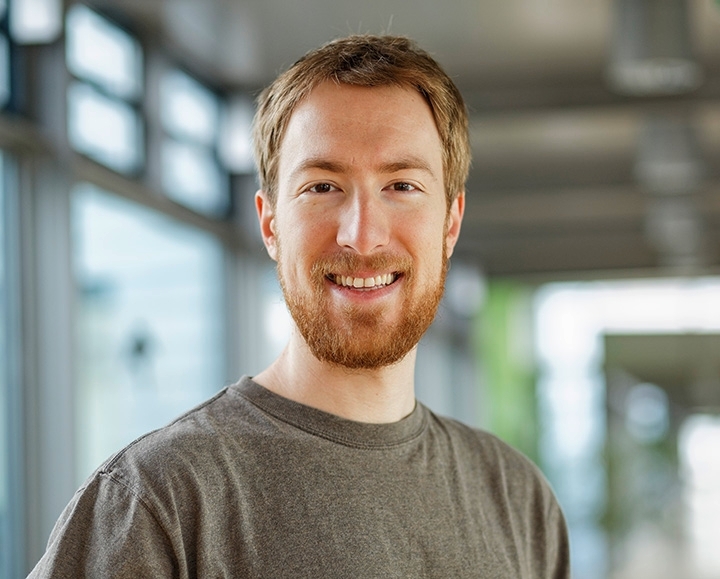 His past research has focused on the digestive physiology of the stick and leaf insects, Phasmatodea, although he is currently studying the microbiome of dengue-vectoring mosquito breeding sites. And now he's returning to his UC Davis roots to talk about his stick and leaf insects research. And answer questions. 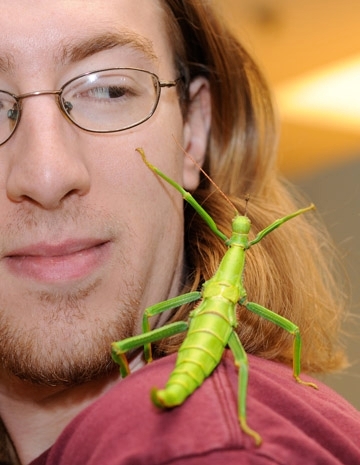 "The stick and leaf insects (order Phasmatodea) are an unusual, herbivorous order more closely related to webspinners and cockroaches than to grasshoppers and crickets," Shelomi says in his abstract. "Neither serious pests nor disease vectors, their biology has been poorly studied, yet recent work has revealed just how little we knew about their inner workings. Exclusive leaf-feeders, it was not known how they are able to thrive on such a diet and reach their record-setting lengths." He will present the results of his research on Phasmatodean anatomy and evolution, spanning seven years and three continents. Shelomi points out: "Using transcriptomics—the study of what genes are expressed in a given tissue at a different time—one can discover what enzymes are produced by the digestive tissues, what compounds are eliminated by the excretory tissues, and even guess the functions of mysterious tissues such as the 'appendices of the midgut,' a Phasmatodea-specific organ system whose physiological role was unknown for over a century. The diversity of Phasmatodean digestive enzymes includes some surprising members whose evolution in Insecta is changing what we thought we knew. As mysteries are solved and old hypotheses revised, Phasmatodea exemplify the scientists' search for the unknown and the hidden secrets the natural world waits to reveal." Matan says he plans to present an informal seminar, one that he hopes will be both entertaining and informative. Stick insects are a key part of the Bohart Museum's live "petting zoo," which is opento the public Monday through Thursday. In fact, back in 2012, two entomologists/Bohart associates designed a humorous t-shirt inscribed with “Know Your Sticks," featuring drawings of four sticks: a stick person, a real stick or twig, a Vietnamese walking stick and an Australian spiny stick (family Phasmatidae). It's available for sale in the Bohart Museum's gift shop. 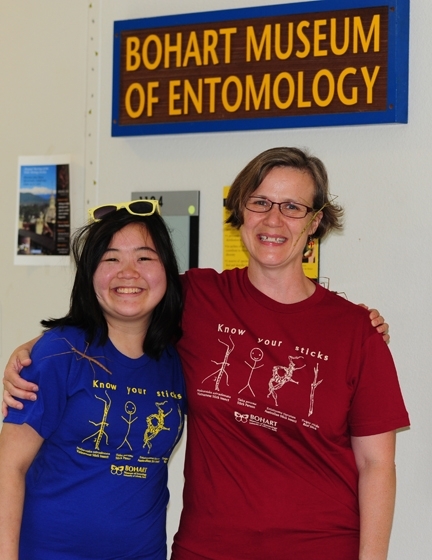 Bohart associate Fran Keller, who received her doctorate in entomology at UC Davis and is now as assistant professor at Folsom Lake College, originated the idea of a stick t-shirt--in between studying for her doctoral degree in entomology and serving as a Bohart associate/volunteer. It was those stick figures trending on vehicle rear-windows that influenced and inspired her. “So we thought we'd clarify the sticks." Keller designed the shirt. Ivana Li, then an undergraduate student and president of the UC Davis Entomology Club and now a staff research associate in the Department of Evolution and Ecology, drew the illustrations. Don't be surprised if Matan Shelomi's former colleagues at the Bohart Museum show up in their "Know Your Sticks" t-shirts. 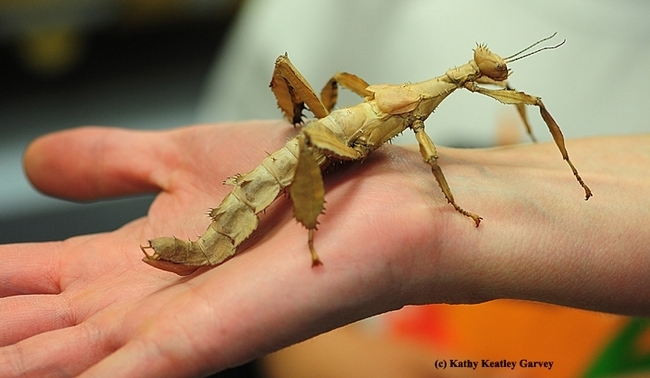 Why would anyone want to study walking sticks (stick insects)? Well, why wouldn't anyone NOT want to? That's the question we ought to ask. 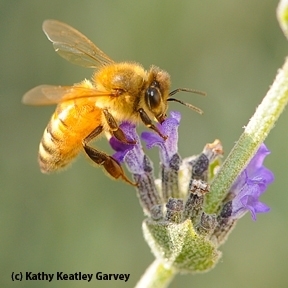 Enter doctoral candidate Matan Shelomi of the UC Davis Department of Entomology and Nematology. He will present his exit seminar on "Digestive Physiology of the Phasmatodea" on Wednesday, March 5 from 12:10 to 1 p.m. in 122 Briggs Hall, UC Davis campus. His seminar is scheduled to be video-taped for later posting on UCTV. For a preview of his work, watch Shelomi's phdcomics.com video; he cleverly explains his complicated research in two minutes. It's a classic Matan Shelomi. 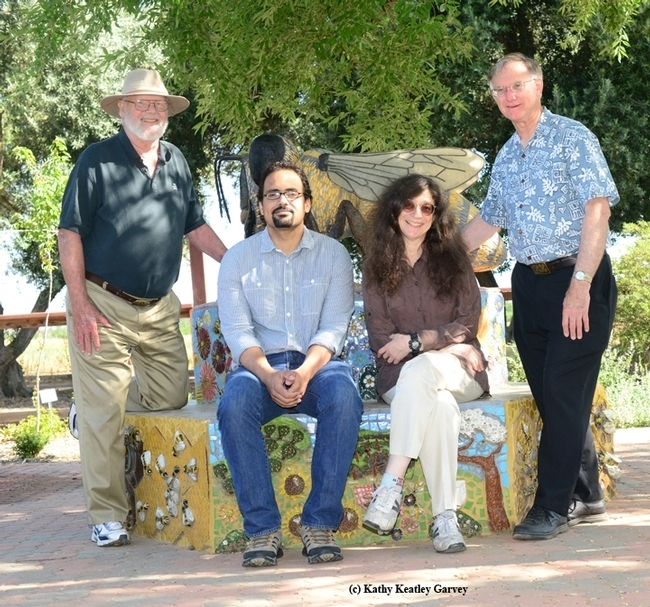 Shelomi, who studies with major professor Lynn Kimsey, director of the Bohart Museum of Entomology and UC Davis professor of entomology, will receive his doctorate this spring and will then seek a postdoctoral position. What will he be covering in his seminar? "All life stages of all species of Phasmatodea (stick and leaf insects) eat nothing but leaves, yet they not only survive, but also reach record body sizes and plague-like population densities," Shelomi says. "Leaves are not an easy diet, as the nutrients are locked behind recalcitrant plant cell walls made of polysaccharides like cellulose, lignin, and pectin, and often defended with toxic secondary chemicals. Phasmid dependence on leaves suggests they have evolved a way to metabolize these compounds, yet what little data available on phasmid digestion is contradictory." :This presentation covers five years of research at institutions spanning three countries, and confirms that phasmids do more than just lyse plant cells: they have the enzymes to break cellulose polymers down to sugar, as well as pectinases, all of which they produce themselves without microbial aid. The phasmid alimentary canal itself is compartmentalized into different sections that correlate with chemical digestion and xenobiotic metabolism. These adaptations allow an animal with a limited body space to digest and specialize on an otherwise limiting diet, with implications for herbivore nutrient economy as well as the search for enzymes for biofuel production." Shelomi received his bachelor's degree in organismic and evolutionary biology from Harvard University in 2009, and immediately after, enrolled in graduate school at UC Davis. 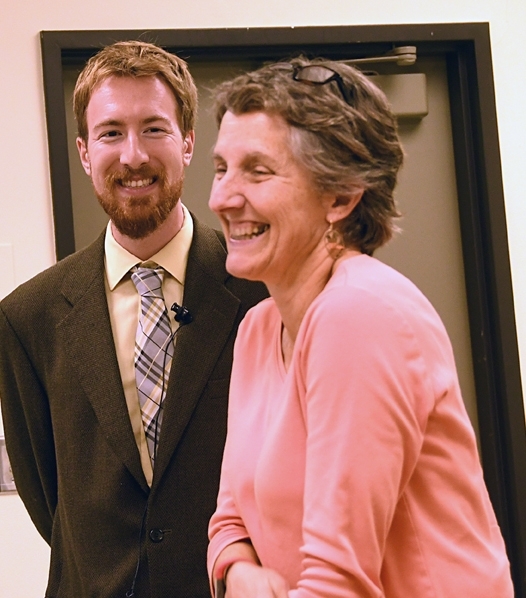 His work in Davis is funded by the National Science Foundation's Graduate Research Fellowship program. Twice he has won the National Science Foundation's East Asia and Pacific Summer Institutes' Fellowship: once to work in the National Institute of Agrobiological Sciences in Tsukuba, Japan, and once to work in Academia Sinica in Taipei, Taiwan. Shelomi served as a teaching assistant for Bob Kimsey's forensic entomology class. In addition, he co-taught a freshman seminar with Lynn Kimsey on "Evolution, Creationism, and Intelligent Design." He has guest-lectured for Entomology 10 "Natural History of Insects"; Entomology 100 "Introduction to Entomology"; and Entomology 102 "Insect Physiology." He has presented at numerous meetings of the Entomological Society of America (ESA) and the Pacific Branch of the Entomological Society of America (PBESA) and organized or co-organized four symposia at those meetings. 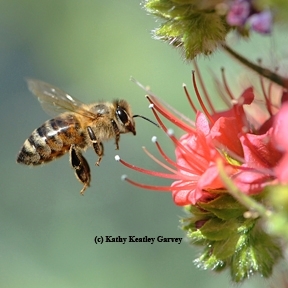 He participates in the ESA's Linnaean Games and Student Debate teams. For his work with ESA and outside it, he won PBESA's John Henry Comstock Award in 2013. There's more, much more. Shelomi presented a workshop at the 2012 International Conference on Science in Society, and received first place for his talk this past summer at the International Congress of Orthopterology in Kunming, China. 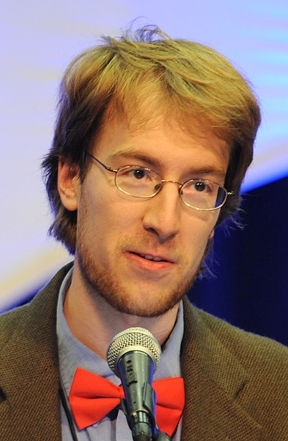 He has published his research in number of peer-reviewed journals. The doctoral candidate's work has been spotlighted in the Sacramento Bee, California Aggie, DavisPatch, plus blogs and vlogs like LiveScience, PHD TV, and Breaking Bio. 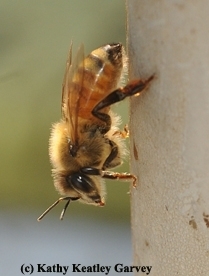 In addition, Shelomi answers entomology and biology questions on Quora.com, where he has been a top writer for two consecutive years. Huffington Post and Slate printed some of his Quora answers. You might remember that he won a "Shorty" (social media) award for his post "If you injure a bug, should you kill it or let it live?" Lynn Kimsey says she doesn't know when he finds time to sleep.